In accordance with the instructions of the president of the university concerning raising awareness within dormitories, and under the supervision of the Scientific Assistant (Head of Student Discipline Committee at Dormitories), faculty Asst. Lect. 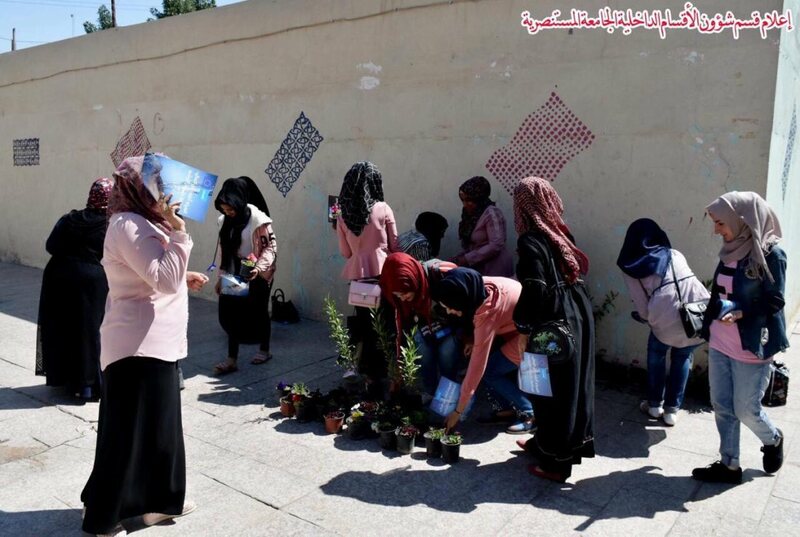 Anfal Issam participated in a field visit to the female students’ dormitories compound at Mustansiriyah University accompanied by other members. The visit included planting and water reserving campaign.